I'm absolutely flabbergasted how great these discus are! I got 2 of the AquaGreen Scribble Discus, f..
To whoever wants to purchase any of the DISCUS: I ordered two DISCUS on 1/24/08, I recieved them ..
received Dempseys in good shape along with some discus the dempsey were stresed but came out of it i..
We received our fish yesterday, in great condition!! Nice size fish! This is the very first time we'..
Mr, Keith and Co... The best....., my flowerhorn arrived in a good shave healthy and shipping on .. The true measure of a great company is how they respond when something goes wrong. Keith and company..
My business with Keith and his staff has been nothing but exceptional.The Discus I ordered last Febu..
Keith- Thank you so much for my new Pleco! He is more than I had hoped for as he is 14 inches and I.. I feel guilty for writing this so long after the fact, but I had to relate this story. I ordered som.. 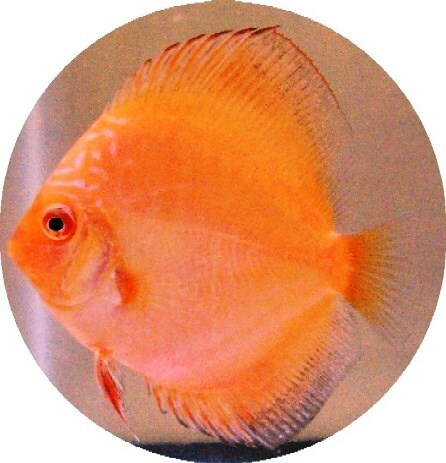 This is NOT a BS story...I received my fishes in great health and shape, I was very happy with the s..
i just got my siam yellow master..and i couldnt be more amazed..this discus really does stand out .v.. I have found that I can't keep discus alive and healthy with the water in my area without Blackwater.. I have purchased 8 discus from Keith to date. 6 were the assorted 2 in. and I just received 2 of the.. This size and color of Red Turquoise Discus look great in my well planted 45gal tank, with the black..
this is an update on my two golden dragons the colors are really coming out now after two weeks and ..
i have several tanks not just a discus tank and in all i have plecos and they love the wafers in fac..
beautiful shape and color. Very healthy, attacked food first day! 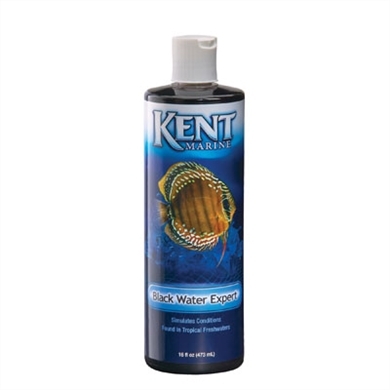 I will add this to my tank with th..
all nine fish arrived looking great and stress free the packing and shipping are tops i could not be..
just received my 2 golden dragons really look great its my third order from Keith and it won\'t be m.. I ordered 2 others besides this one (red leopard, and golden dragon). They were all in great shape a.. I recieved my fish tuesday, they are settling in the iso tank and feeding well, I cannot say enough .. I was nervous about ordering fish online, but after much research decided on Somethingsphishy. I\'m .. The Golden Dragon came in the 2nd shipment of fish we have gotten from Keith. Couldn't ask for bette.. 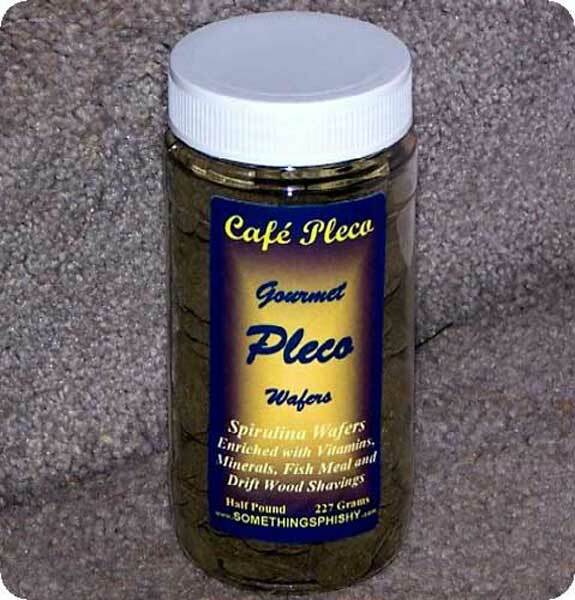 I have purchased about eight Pleco\'s from Keith in the last year and they have all arrived in good ..
Wow! Can't say enough great fish great price. People say you get what you pay for... What in underst..
All the fish came in great condition! The two blue diamond discus and the two red confetti are beaut.. Received my order. All fish were beautiful and adjusted to my tank very quickly. Recommend this supp.. The fish are beautiful. It was my first time ordering online and I was very nervous. The fish arrive..
First one arrived dead, but Keith Titus replaced it with out any problems. Great communication with .. They good looking fish and arrived quite lively, I can\'t wait for them to get larger their color no..
Beautiful, healthy pleco- as usual- Thanx Keith & crew! Keith and his staff are awesome !!! Got my Golden Dragon and 4 Flowerhorns and all are doing great. .. Thanks Keith, I was very impressed with the size, color and health of all six of my discus. The pack..
Great pleco for the price. The picture doesn't do it justice. Thanks for the great service and varie.. 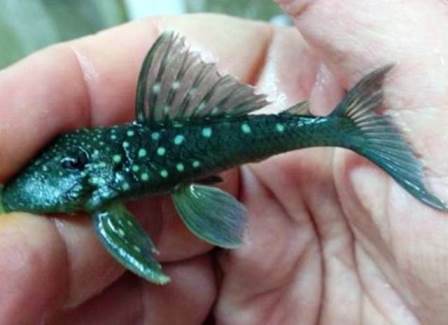 Awesome looking little guy! Can't wait for him to grow. Arrived full of life. very nice,healthy fish. Eating zuccini the first night! Thanks again Keith Titus and everyone at som.. I received the golden dragon mated pair which arrived in good health. Over a week later they are doi.. I just love my 4 new blue diamond. I love them so much that I had to order 4 more from keith. These .. I am just getting started with discus. Can't find them where I live, in Wyoming, so I had to order o.. I received 3 red turquoise discus, all three were alive and doing well. The weather was below freezi..
Keith, this Panda looks better and better each day. An excellent healthy fish, thanks will be gettin.. I love my GD's, and they are really showing more color every week. They have a bit of peppering to t.. THANK KEITH THIS IS ONE OF MY NICE DISCUS,ARRIVE HELTHY AND ACTIVE,IN GREAT SHAPE AND TRANSITION TO ..
First time ordering with Keith and I can say it was money well spent. 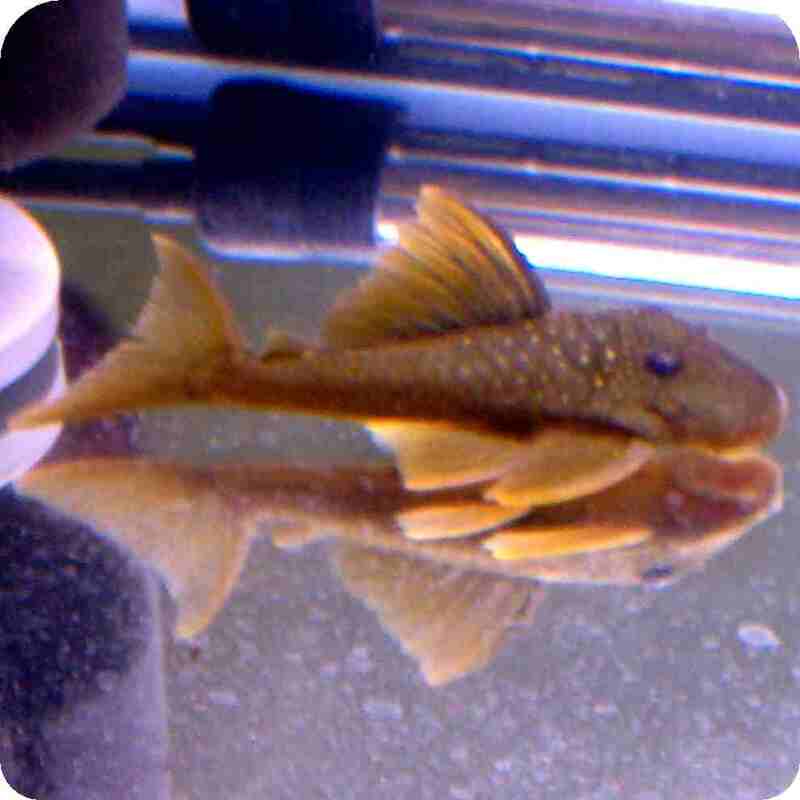 Excellently packaged and shipp..
ALL my plecos love these.... from the Ancistrus spp. to the Sturisomas and everyone in between. Than.. I ordered a Golden Dragon and a Brilliant Blue Diamond about a month ago. They are both very healthy..
MY ORDER WAS SHIPPED TO ME VERY FAST, WAS GREAT TO SEE MY TWO BABIES ALIVE AND WELL, NOW THEY ARE VE.. Ordered Three fish. Baby blue panda, Siam red master, and a green snakeskin. All arrived in outstand.. The Baby Blue Panda and Golden Drago discus arrived in excellent condition yesturday and are doing a..
red turk is the most beautiful fishe i ever had now that it's almost full size. much much nicer then.. The L137-Violet Cochliodon I received was with out a doubt the best of it's kind I have ever seen. T..
Wow! You were right! I am impressed!All 5 of my Red Turquoise fish arrived healthy and beautiful. Th..
My Golden Dragon arrive in great shape and after only a few days started show color, a very showy di.. I have just received my second order in a month from Keith and Somethinsphishy and I am nothing but .. This fish is so beautiful, I got him with 3 other discus and they are all doing great, this one in s.. Fish is Beautiful, in great shape and transition to aquarium was very smooth. Somethingsphishy has i..
As stated in the description, the juveniles of this fish are a very light yellow with darker golden .. I got two of this guys from Somethingsphishy and they are doing great. I didn't have a tank to place.. I just recieved my Discus in the mail. The were packed very very well and the Discus inside were eve.. Interesting development. All great fish, all four arrived alive. pink passion, two psychadelics, one.. OMIGOSH! !...don't be afraid to take a chance on these babies..the one they sent me today is so beaut..
Panda was purchased along with 3 other fish at the 2" size. Is now about 5 inches---grew like a weed.. Beautiful!! I received my 7 discus and 4 plecos in excellent shape. 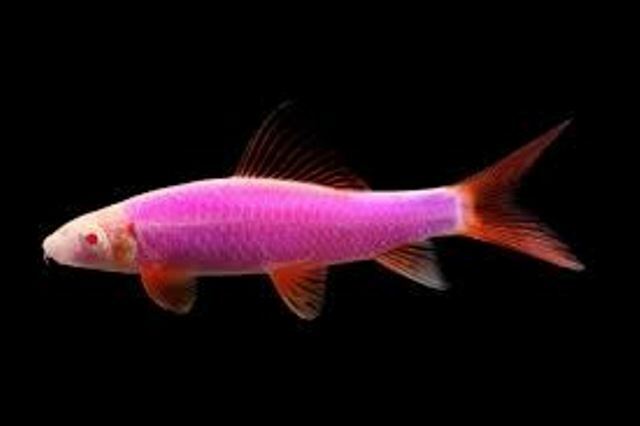 Thanks for the great shipping me..
We got two of these fish, and they are really pretty. They were individually packaged, and out of 6 .. I just received the red turquoise snake, and it is beautiful, the colors are extremely bright. I am .. 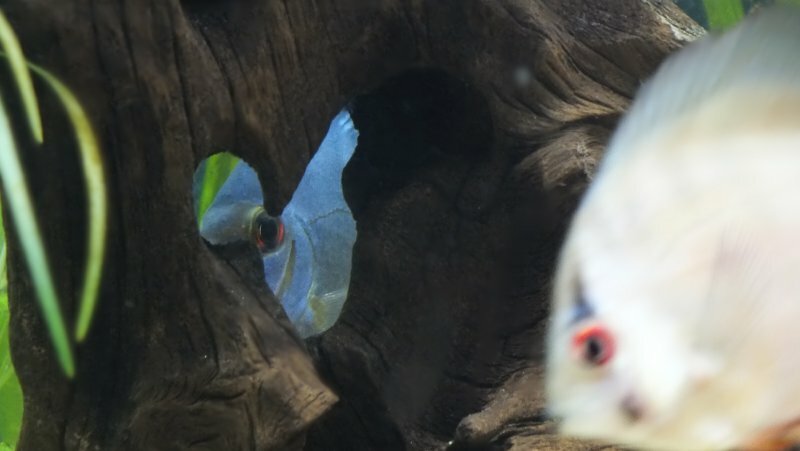 The baby blue panda discus are VERY lovely!!! They did not get stressed due to shipping!!! I appreci.. The baby blue pandas are beautiful. You can trust this website's photos. In fact, the fish are even .. The baby blue pandas are beautiful. You can trust this websites photos. In fact, the fish are in bet.. I love discus. Keith's web site make it so easy. The fish are fantastic. Hey Keith, It is Fredro, I know thw L# of the Adonis-L-155a-let me know what is up-I like the mustar.. These discus are more beautiful than the picture....an irridescent baby blue with reddish brown stri.. I got one of these this week, and he is a great lil plec. He arrived happy and active as ever, and i..
Perfrect quality! Great eaters no stress from shipping! 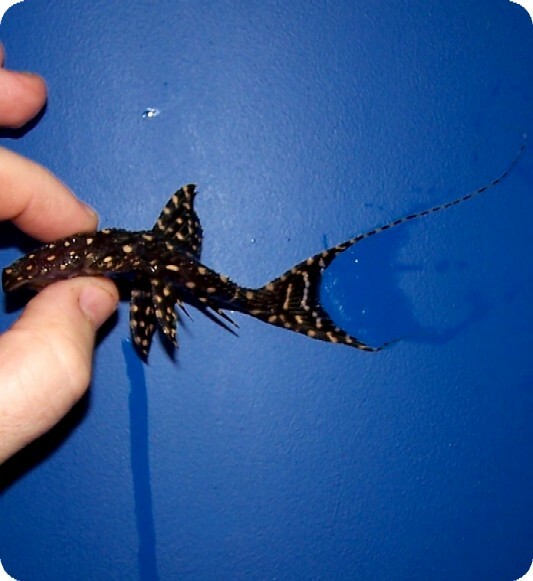 Cool Pleco with a really different color, it is diffently and eye catcher at a great price. 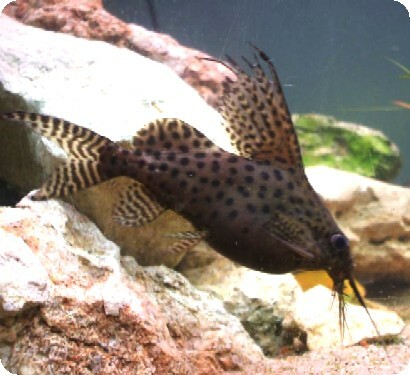 I love this pleco!! he is very active and really adds some "spice" to my aquarium. This is a very be..